Morris Marcus Moore went home to be with his Heavenly Father on February 4, 2019, at his residence. He was born September 15, 1962, in Reidsville, North Carolina, the oldest child of Morris and Annie Moore. Marcus graduated from George Washington High School in 1980, and attended Norfolk State University. He grew up in Pelham, North Carolina and was baptized at an early age at Gwynn’s Chapel Missionary Baptist Church. Marcus relocated to Baltimore, Maryland, where he married his wife, Delorise J. Moore, who survives. Together they then moved to Danville, Virginia. He was employed at Intertape Polymer Group located in Danville, Virginia. Marcus loved all kinds of sports and was a Redskins fan. He liked to watch westerns on television. In addition to his wife, survivors include one stepdaughter, Veronique Copeland (T.J.); step granddaughter, Keyana Boston (Marquis), step grandsons, Shamar and Devin Eaton, all of Virginia Beach, Virginia; parents Morris and Annie Moore; and one sister Valerie Jones (Rodney) of Danville, Virginia; three nieces Shalonda Jones (Keith), MeShawn Jones (Stanley) and Taliyah Rodgers; one nephew, Michael Jones, Jr.; one great niece, Kali Williams; and two great nephews, Jay Sean Smith and Keith Williams, III. Marcus also leaves to cherish his memories, his Loving Dog, Gyzmo (Gyzzy). Funeral services will be held at 1 p.m. Saturday, February 9, 2019, at Gwynn’s Chapel Missionary Baptist Church with the Rev. Dr. John B. Doe officiating. Interment will follow in the church cemetery. At other times the family will receive at the home of his parents, 122 Kittyhawk Drive, Danville, Va.
Norris Funeral Services, Inc. & Crematory, Mt. Hermon Chapel, 3995 Franklin Tpke., Danville, Va. is respectfully serving the Moore family. Online condolences may be made at www.norrisfuneral.com. To send flowers or a remembrance gift to the family of Morris Marcus Moore, please visit our Tribute Store. 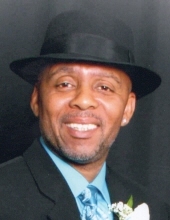 "Email Address" would like to share the life celebration of Morris Marcus Moore. Click on the "link" to go to share a favorite memory or leave a condolence message for the family.